You can set up your long pasta line according to your specific needs . Optional components are available to make this line a reliable and versatile machine. 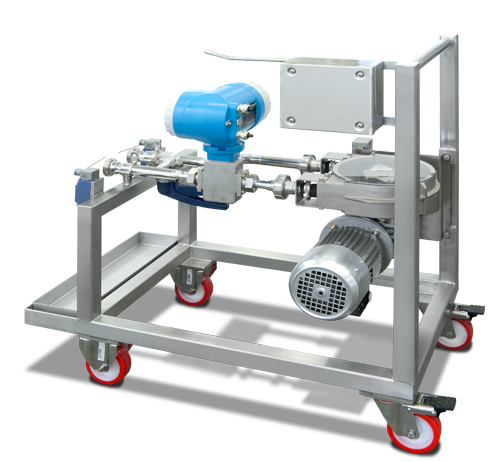 Beltmix is a patented dough mixing system that represents an important technological innovation for dry and fresh pasta, egg mixtures or with additives. Technology and sustainability, thanks to a low energy consumption. Together with Premix® , it takes the place of the traditional kneading basins with shafts. The temperature control is a system that lets you constantly check the temperature of the cylinder and the press head. 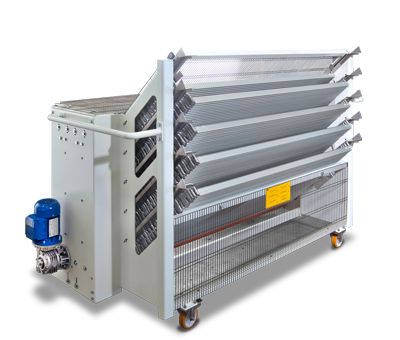 All this guarantees an optimum start of your pasta production, with a shorter duration than that one of the systems with no temperature control. 100% guaranteed recipes and final product control and no wastes. Do you have additives for your pasta? We have all the necessary systems for you. Reliability, sanitizability, dosing precision, safety and simplicity. This group of options, all wheeled, arise from the need for supplying an alternative to the ingredients dosed in the presses, compared to powder dosage. The storage and mixture of the additives with water take place in the tanks. 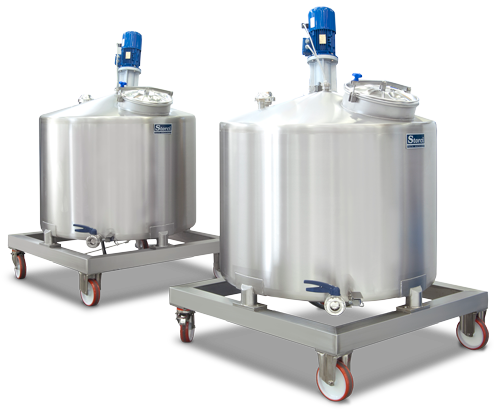 A couple of tanks are usually offered along with a dosing pump to safeguard the production and guarantee the times reduction, since one can be used during the dosing phase and the other one remains at disposal for preparing another mixture. 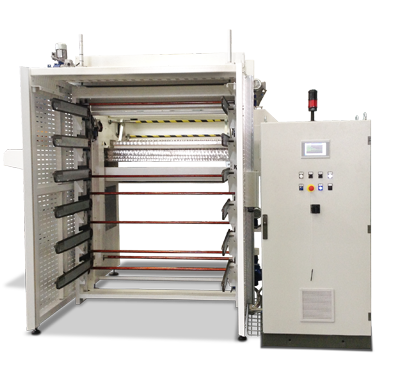 The capacity can vary depending on modifications such as the press hourly production. The tank, ready with the product to be mixed, is placed near the press together with the pump (to which is joined by a flexible pipe). Dosing pumps are available in several models (with lobes, peristaltic pumps, etc) depending on the type of plant. The pump is equipped with a capacity measurer handling the pump speed, thus enabling an optimal dosage. 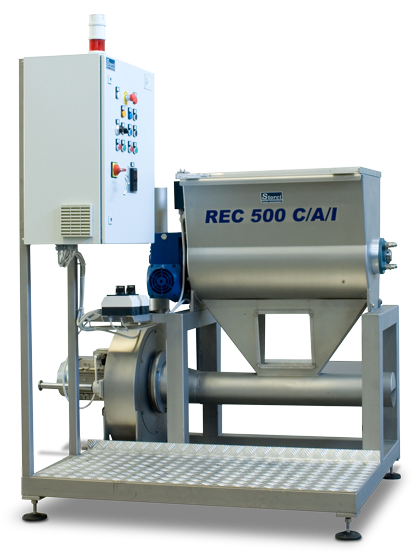 Automatic cleaning system of the additives plant by C.I.P. 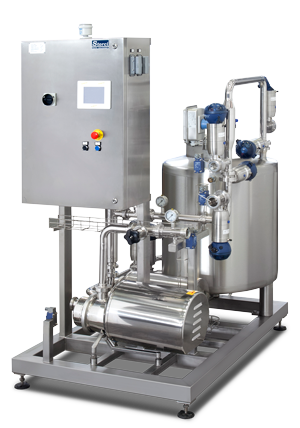 Compact group for the cleaning of piping and additives dosing plants, strongly recommended with egg dosage (due to its bacteriological degree of severity). Hence in this case the sanitizing process must be monitored periodically for each part in contact with the product, by C.I.P. group. Whenever you have to dose solid additives such as spinach, powdered eggs, tomatoes, turmeric, vitamins, etc., you can resort to solid additives dosing group. The choice might lie between a doser with one screw or with two screws (when the capacities are small or the products stick to each other). 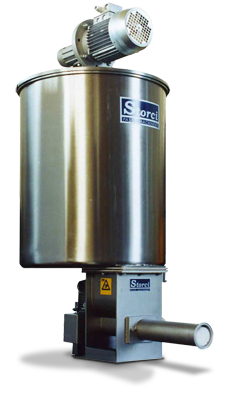 You could also opt for either a volumetric doser ( for non-hygroscopic raw materials such as flour or semolina) or a gravimetric one (for products such as tomatoes, vitamins, etc). Both can be fed manually or automatically, according to the Customer’s needs. Choose sticks automated control to get remarkable time and staff cost savings. Thanks to the sticks storage tank you can perform only one loading of the sticks fed to the spreader unit avoiding this way that an operator is constantly busy with this operation. The only activity to be done, is the recurring check that the tank is not totally emptied. 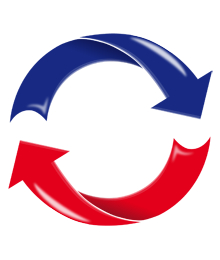 Consequent reduction of staff costs and working times. 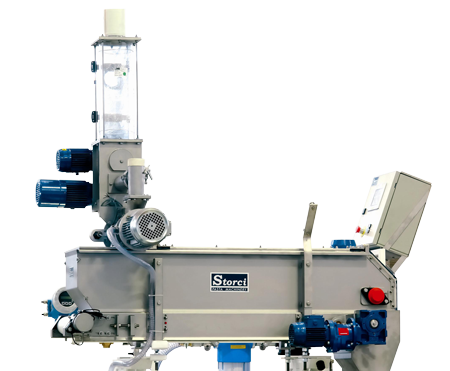 Manual or automatic loading for your long pasta: several stripping unit models at your disposal, depending on the dry pasta shapes you have to strip, like spaghetti or special pasta such as mafaldine, hollow long fusilli or candele. Sticks unstacking unit is directly connected to the stripping unit; the operator puts into the unstacking unit the trolley with the dried long pasta. The system consists of a series of arms that simultaneously lift up all the sticks that are on the trolley so that the operator can take it away from the machine. The sticks remain then inside the elevator that will load them onto the stripping unit one at a time. The sticks will be pulled out of the pasta and let fall into the collection trolley, placed under the stripping unit, that will be used to re-load the sticks tank. 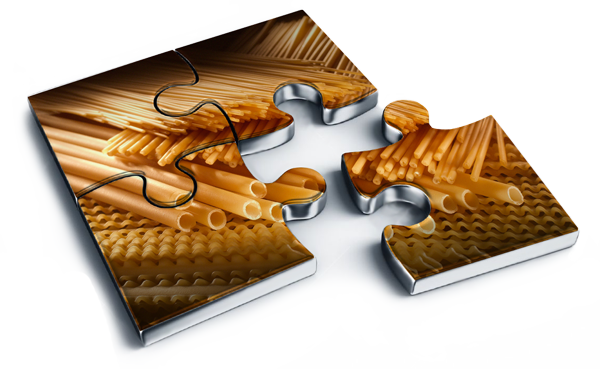 Not only has the stripping unit the task to take the pasta off the stick, but also to cut long pasta at the right length, to be later packed. Thanks to our units for scraps recovering, you can save cutting out wastes: reuse the ends and leftovers of the production, change of shape, filled pasta dough remnants, etc. 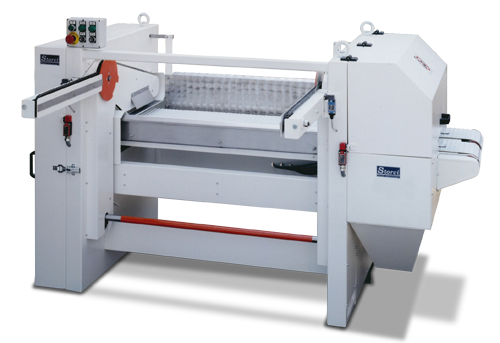 You can choose among different models depending on your needs, all guarantee dough quality and investment recovery.